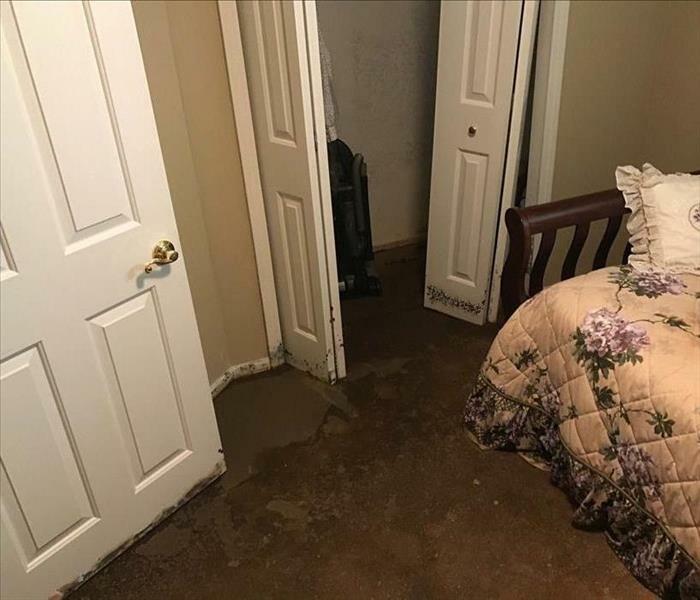 When a homeowner came home from vacation to discover that their sump pump had failed, it was unfortunately too late for mold prevention. 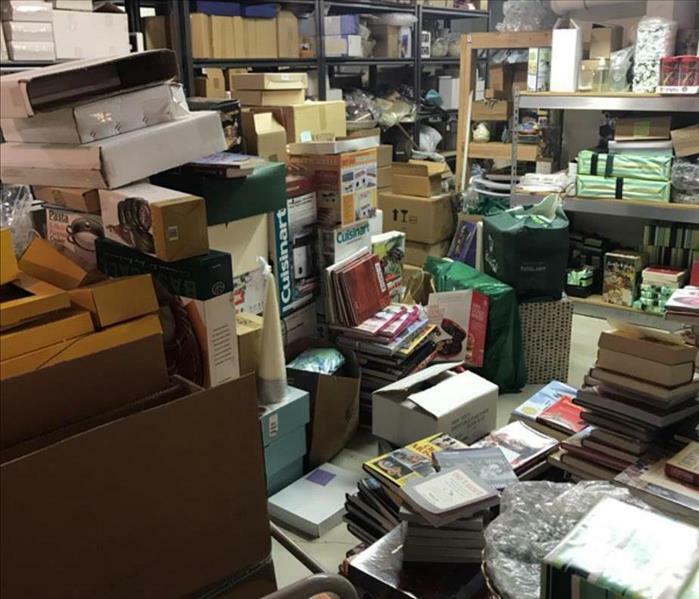 This 5,000 square foot basement was being used to run a department store and in order to make sure the environment could be safe and mold free, everything had to be packed out. 2,400 boxes later and many hours of cleaning, the job was complete! This warehouse was the victim of a large water loss resulting in the need of our emergency services. It was essential that we got there immediately in order to prevent their computer system from frying. Our crews were dispatched with all hands on deck, and their employees were able to return the next day to continue designing and testing crash dummies. 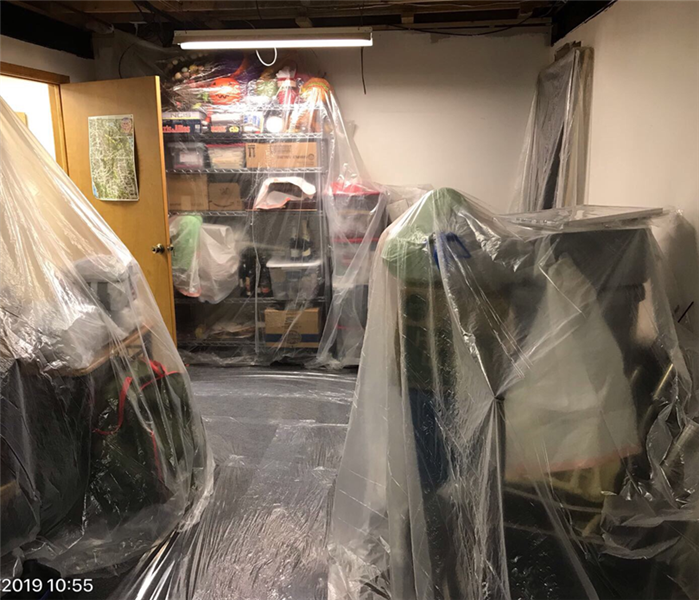 In order to start the demo in this home, SERVPRO technicians set up containment to prevent mold from spreading throughout the rest of the basement. This is an important step in the mold remediation process, especially in commercial buildings when staying open for business is key. At SERVPRO of Rochester, we're dedicated with staying up to date with the latest and greatest technology in our industry. 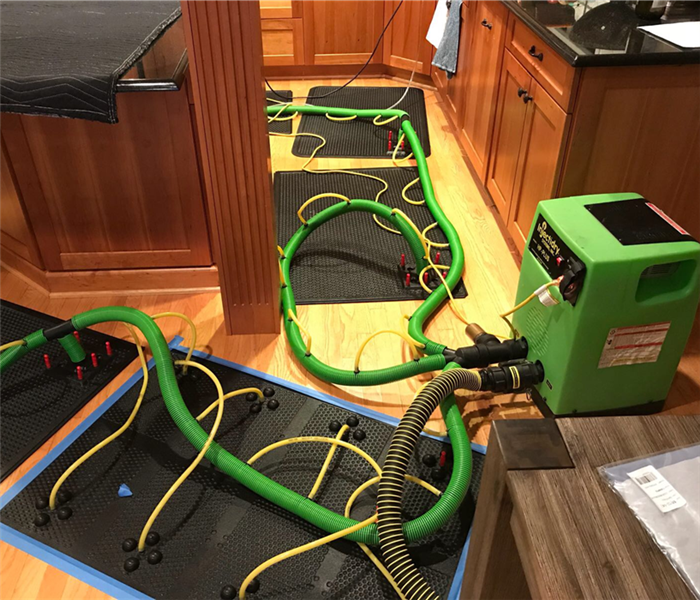 The injectidry is a specialty drying system used for getting to the surfaces that dehumidifiers can't quite reach such as hardwood flooring. Essentially, this equipment pulls out the moisture that gets trapped underneath the surface to prevent warping or buckling. Question? Give us a call! (248) 427 1500. If water damages aren't attended to immediately, the risk of secondary damage significantly increases. Secondary water damage happens when the water has been sitting for a long period of time and saturates the air. This photo shows what can happen when the environment becomes too humid. The key to preventing extra damage to your home and belongings after a water damage is quick response in clean-up. Call us 24/7 for emergency water removal services (248) 427-1500. 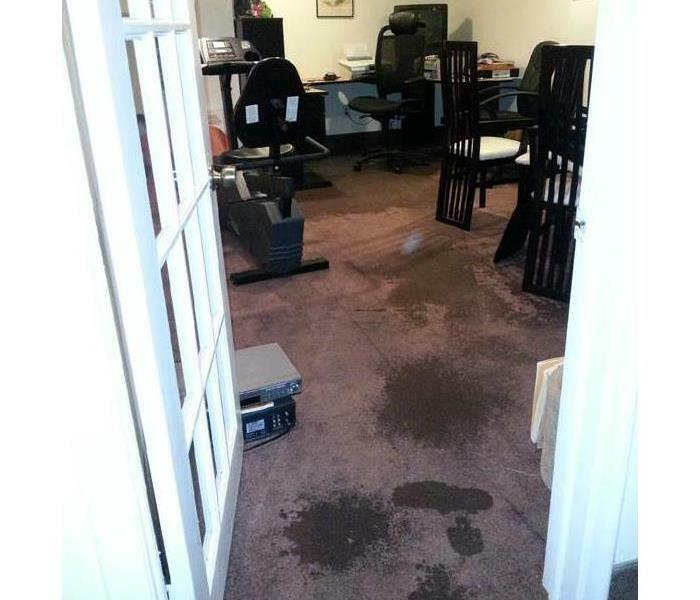 This water loss was the result of a pipe leaking on the first floor of their home, which leaked through the floor to this downstairs office. Luckily, the damage was not too severe and we were able to dry out the space. When a storm hits and we experience major flooding, SERVPRO of Rochester technicians are ready to go 24/7 - 365 days a year. 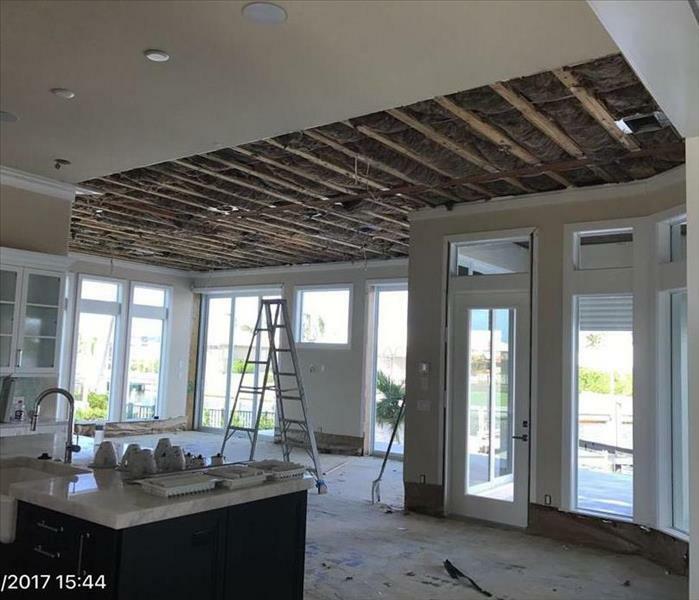 As shown in the photo, our technicians removed the affected flooring and portions of the walls and then bagged it up to be removed. 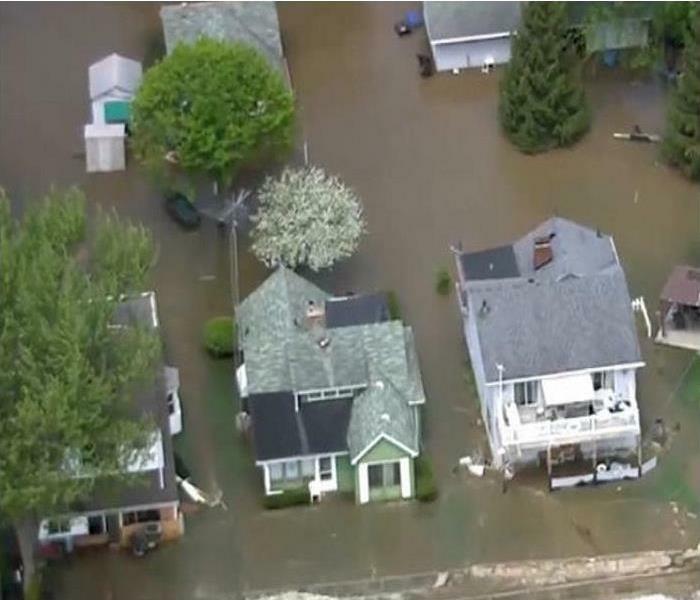 SERVPRO of Rochester responds immediately to your flood and storm damage emergencies. We have the storm damage restoration experience and specialized equipment to restore your home or business back to pre-storm condition. This mold damage in a Rochester, MI basement was caused by an unaddressed water damage. The moisture allowed spores to grow and spread across the entire basement. In the event of a water damage in your basement or storage area, would your belongings be safe and kept dry? For most, the answer is no. 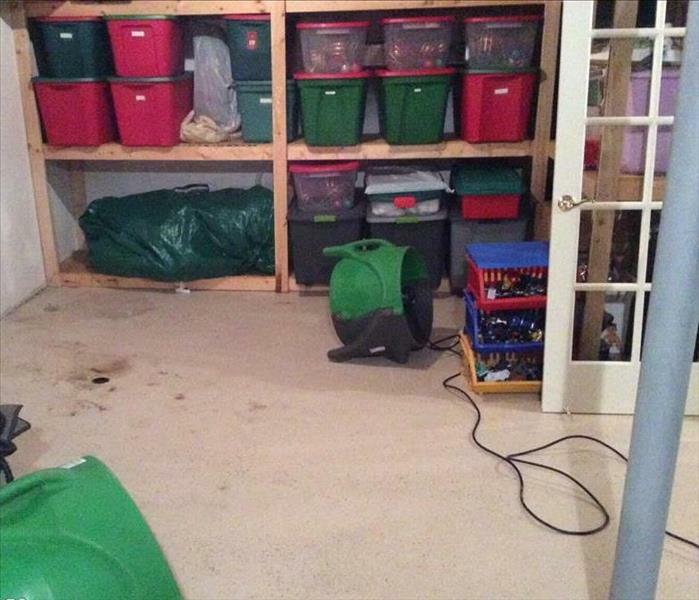 These Lake Orion, MI homeowners experienced a water loss in their basement, however, most of their belongings were stored in totes and bins (as shown in the photo) so water could not reach them - in turn allowing them to save almost everything! As shown in the photo, containment is an extremely vital part to any and almost every mold job we do. 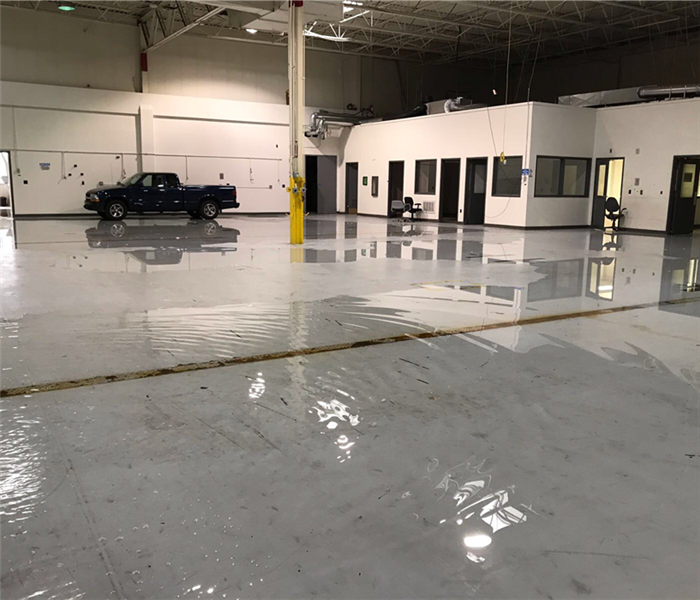 In this commercial building we had to set up large amounts of containment around the affected areas, to prevent spore from spreading to unaffected rooms - which would make the loss much larger and a longer process. In doing so, we were able to get their business back up and running quickly and smoothly. 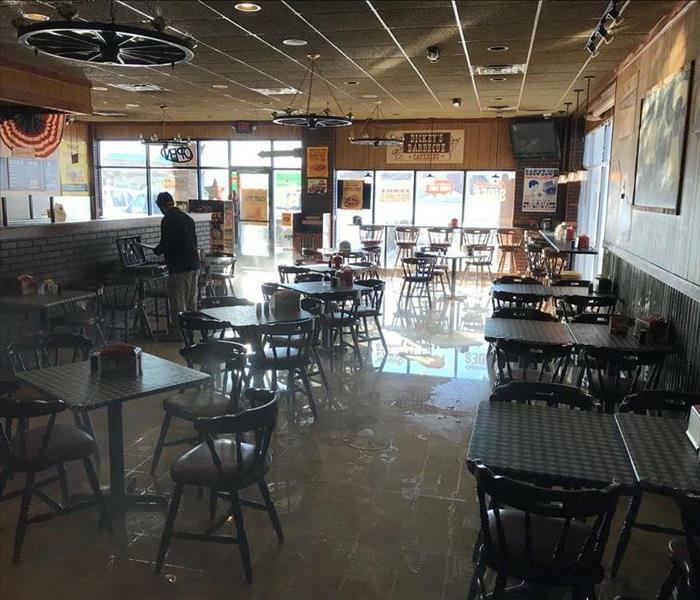 This restaurant in Ferndale, MI had a sewage loss that backed up through the entire building including the basement. 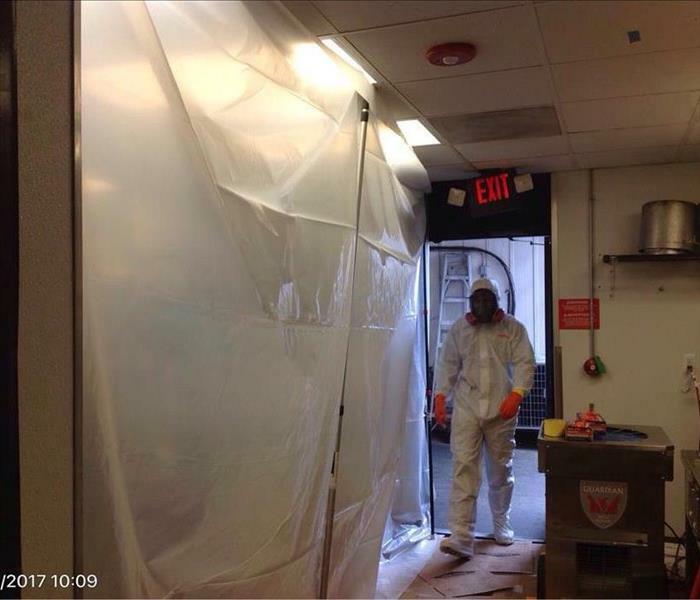 They called us out to mitigate and sanitize their restaurant so they could get back to business as quickly as possible. 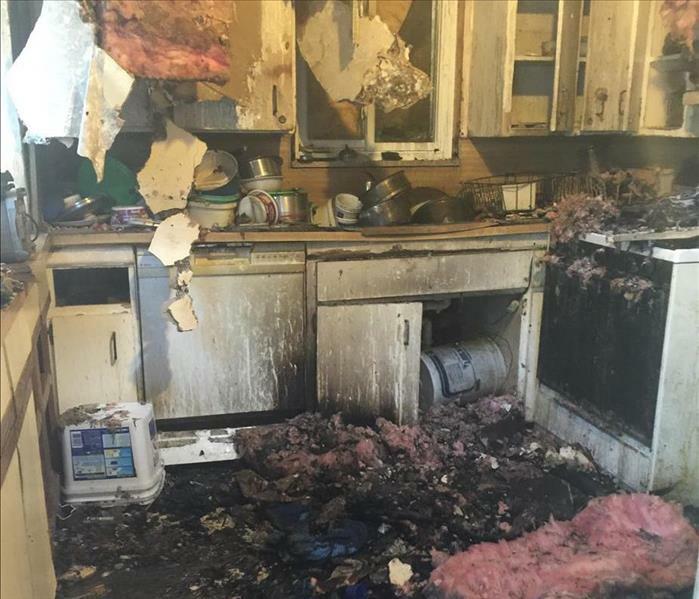 This house fire began in the kitchen when a small appliance was left plugged in and turned on for an extended period of time while the homeowners were gone. These unsalvageable contents grew mold due to a water loss in the basement of a Livonia, MI home. The water loss was due to a sump pump failure in the basement which went unnoticed because the homeowner was out of town. The excessive rain that rushed into this home in Troy, MI caused the wood flooring to buckle. We had to remove the flooring and then dry out the space. in 2017 we had a severe windstorm sweep across Michigan, leaving many homes and businesses torn apart - some damaged beyond repair. 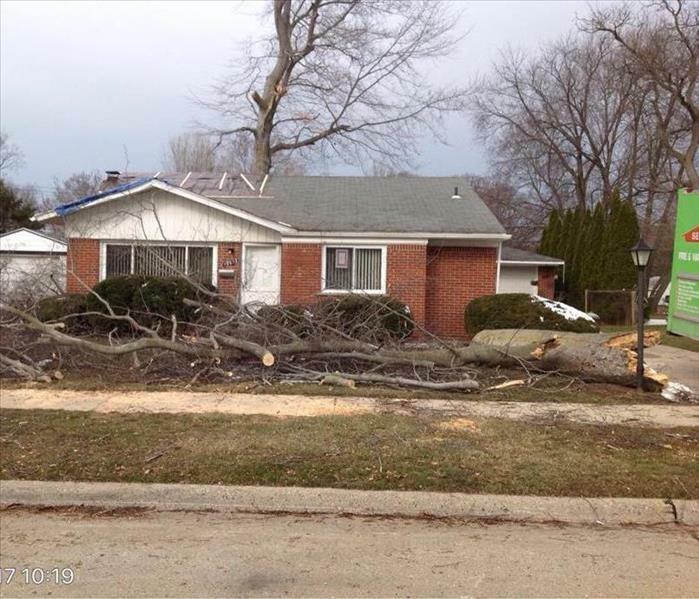 Here we have customer in Farmington Hills, MI affected by the storm who called on us to help with the tree that had collapsed onto his home. 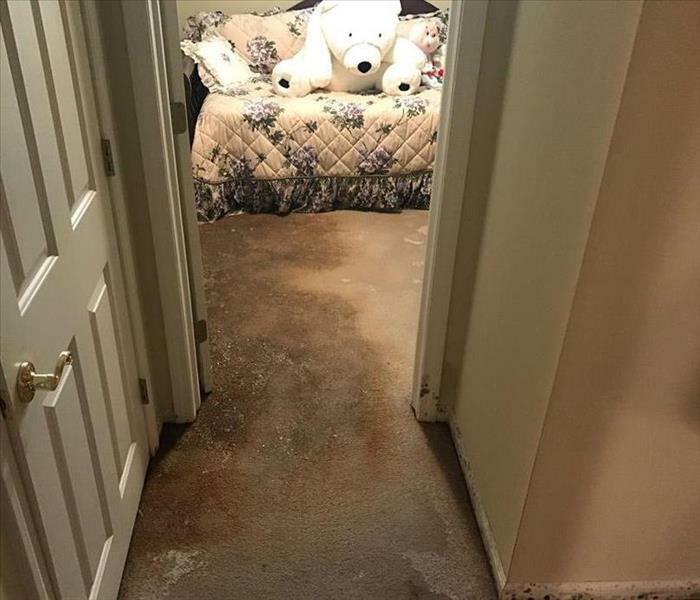 Water damage to a residential home in FL after Hurricane Irma. SERVPRO of Rochester had to remove all affected areas of the ceiling, as the water had leaked from the second story flooring. 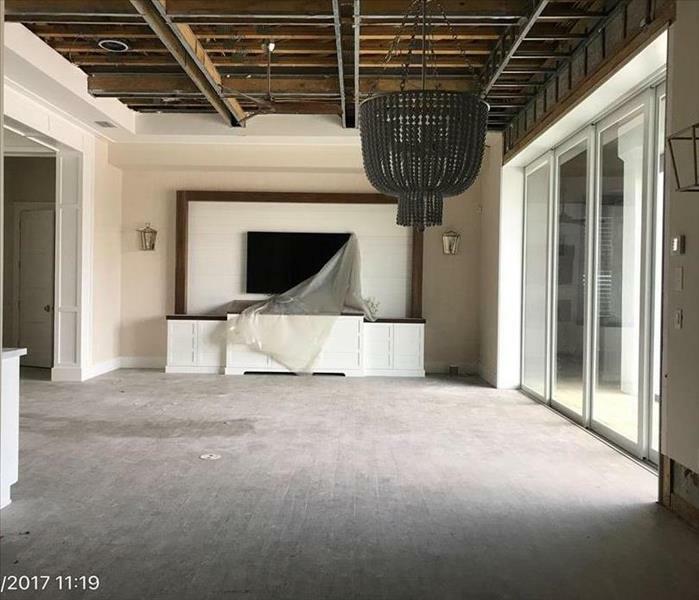 Large condo water loss on Marco Island, FL during Hurricane Irma. We had to remove all affected areas, including parts of the ceiling- and then dry out the space to prevent mold growth. Drying out this large commercial space so we can mitigate and get the business back up and running. We had to respond quickly to set up equipment and prevent any mold growth. 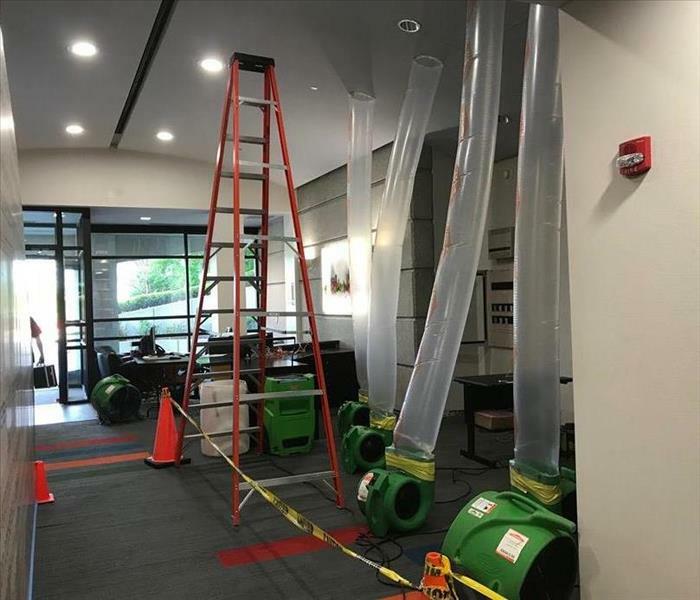 Fans set up to dry out this large commercial space. Since the ceiling was mildly affected we had to reroute the air flow from the fans to the ceiling to make sure that was dried out as quickly as possible. Water extraction at a restaurant in Rochester Hills, MI. 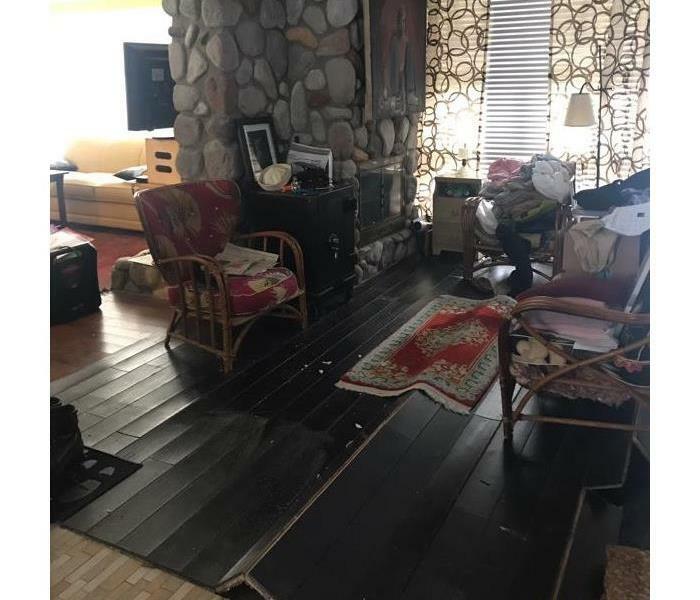 The entire floor was affected as well as all table and chairs. We had to wipe down and move the tables and chairs then extract the water and dry out the floor. 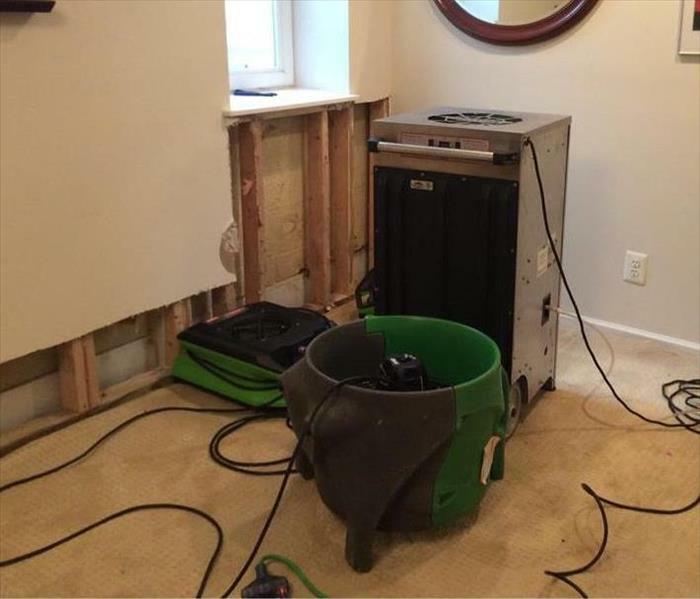 We set drying equipment at this Rochester Hills home after the main level was affected by a kitchen pipe bursting. After drying out the drywall we had to remove the affected carpeting. Severe mold damage in the corner of a Rochester MI basement pre-remediation. We had to remove the affected pieces and then spray and wipe down with a preventative chemical. Moldy carpet due to a water loss in this Farmington Hills, MI home pre-mitigation. We had to remove all affected contents, then remove the carpet and dry out the space. 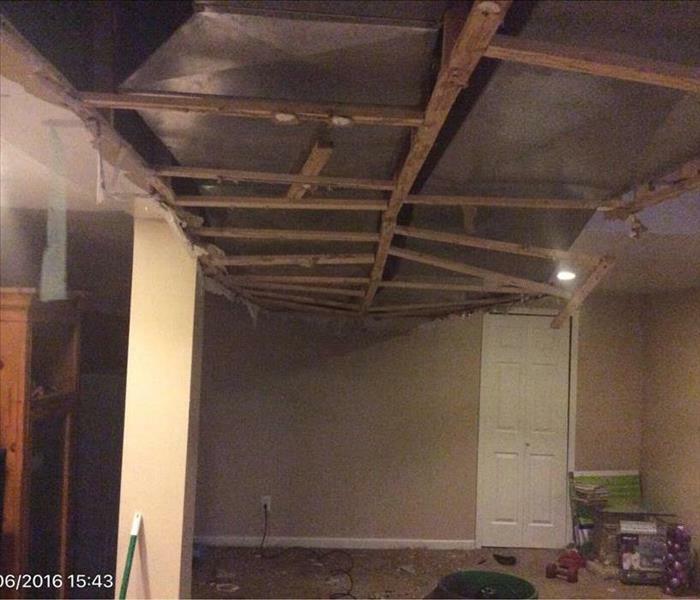 Severe residential water damage in a home in Farmington Hills, MI. This water had been sitting so mold spores started to spread on the closet and doors, as well as the bedding. Soot on the floor of a residential home in Troy, MI. We had to remove the soot from the floor, remove and clean contents, as well as ozone the space due to the odor. We detected mold on the drywall of this West Bloomfield home. We first contained the areas containing mold so the rest of the home would not be affected. We then removed all affected areas with mold growth and then dried out the home. 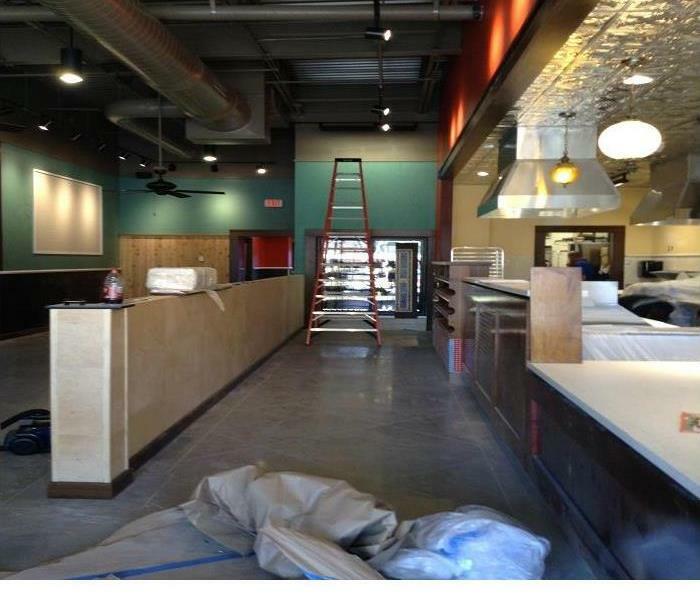 Pictured is work performed by SERVPRO of Rochester Michigan during a Post Construction Cleaning in Auburn Hills. When you don’t have time to worry about the common wear and tear that gradually soils your office. When grime, odor, and moisture challenges go beyond the scope of your regular janitorial staff, call SERVPRO of Rochester, You can rely on us to make your work space look its very best. 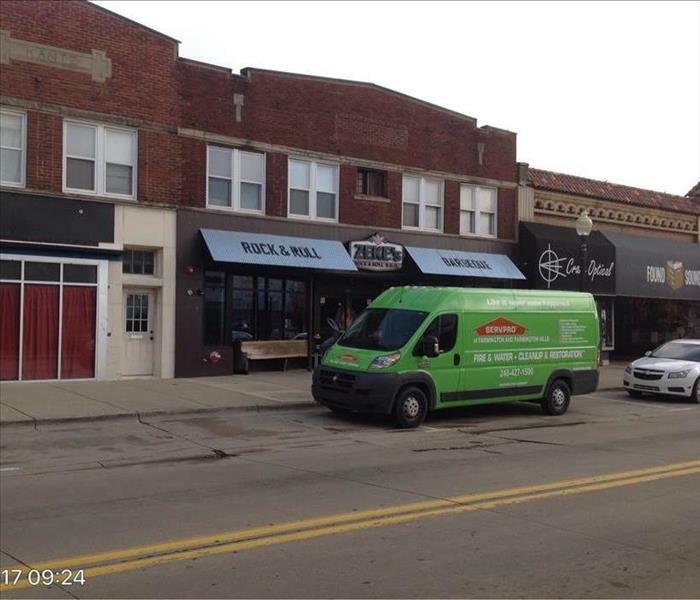 SERVPRO of Rochester MI can perform deep cleaning of your office, warehouse, store, or municipal building. Are you getting ready to sell your home? A moisture problem in your attic could be a result from improper ventilation. Exhaust fans that are vented into the attic could cause Mold. SERVPRO of Rochester receives many requests from homeowners after their Home Inspection detects Mold in the Attic. Our ProfessionalTechnicians can inspect and give you an estimate for the Mold Removal in your attic. SERVPRO of Rochester has all of the training, protective gear, and specialized equipment necessary to handle your mold problem. This home in Lake Orion, MI was severely damaged during an electrical fire. 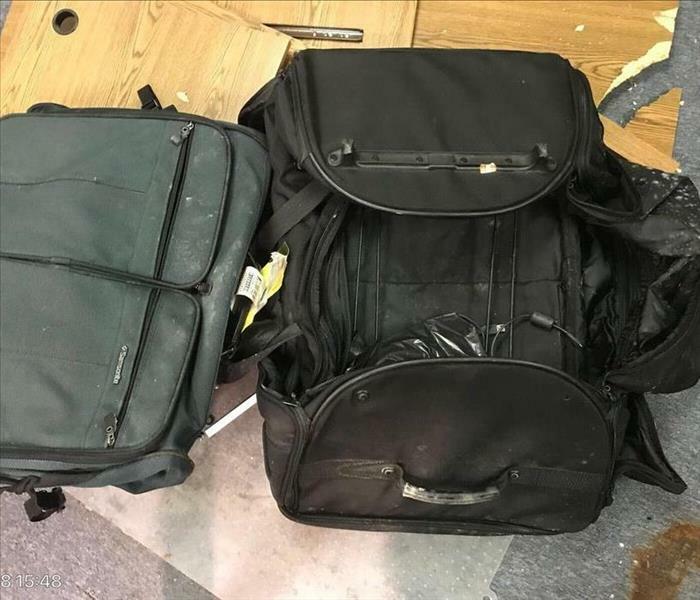 Our technicians rifled through insulation, broken glass and countless other amounts of debris to recover this customers belongings during the clean up and mitigation process. 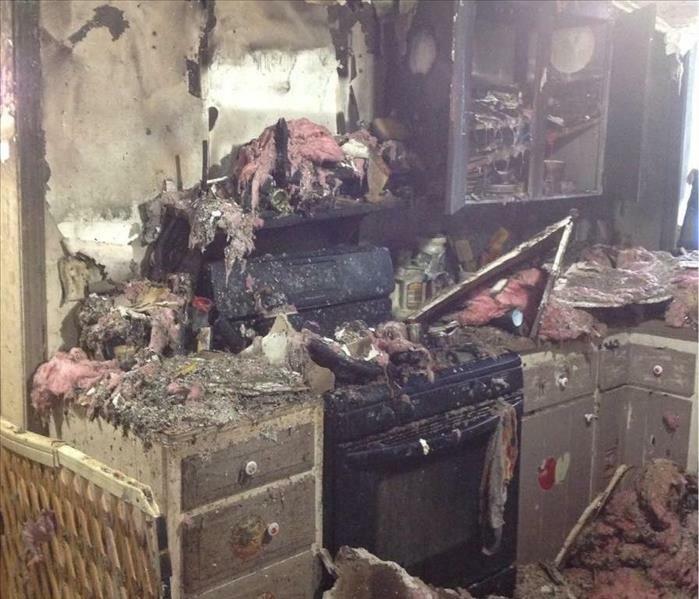 Our technicians are ready 24/7 to make your fire damage "Like it never even happened." This fire in Lake Orion was the result of a power surge electrical fire which affected the entire home. SERVPRO of Rochester is a trusted leader in the restoration industry and has the training, equipment, and expertise to handle your restoration and cleaning needs. As a locally owned and operated business, we can provide 24-hour emergency service and are dedicated to responding immediately to commercial or residential needs. 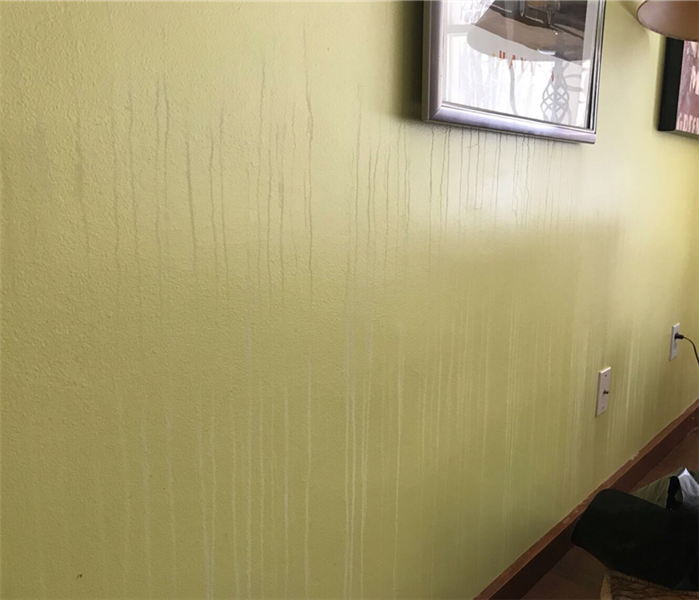 SERVPRO of Rochester technicians were called out to this water damage in Rochester, MI after a second level bathroom sink suffered a severe leak. All three levels of the home were affected, and required an extensive amount of drying equipment, including a floor mat drying system. There was large amounts of demolition and a detailed pack-out of the contents of the entire home. In this older Troy home a pip burst on the main floor causing water damage to the main floor, the second level, and the basement. The damage was extensive because the damage happened a week prior to the phone call. 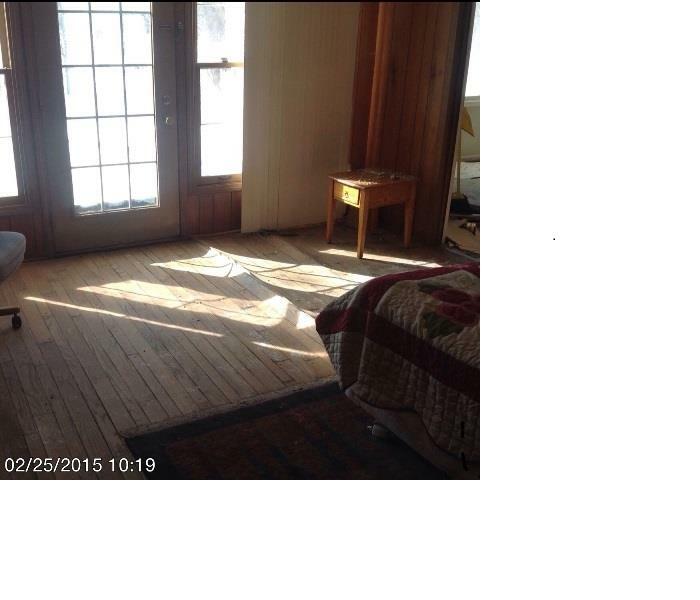 The water on the main floor caused the wood flooring to buckle and some parts of the ceiling to fall. SERVPRO was able to dry out the home, demo the affected areas, and packout and clean the homeowners contents. 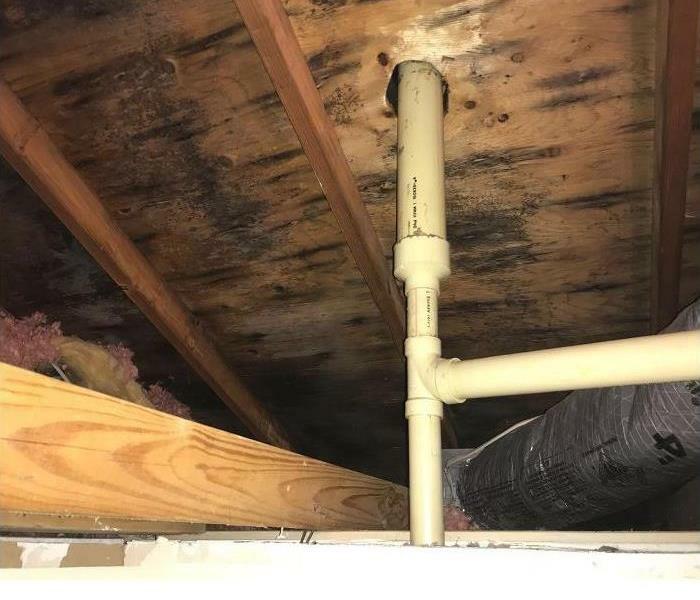 This home had a fire damage which spread through the entire home, due to the fire department having to take action, it also resulted in a water damage with some mold after the fact. 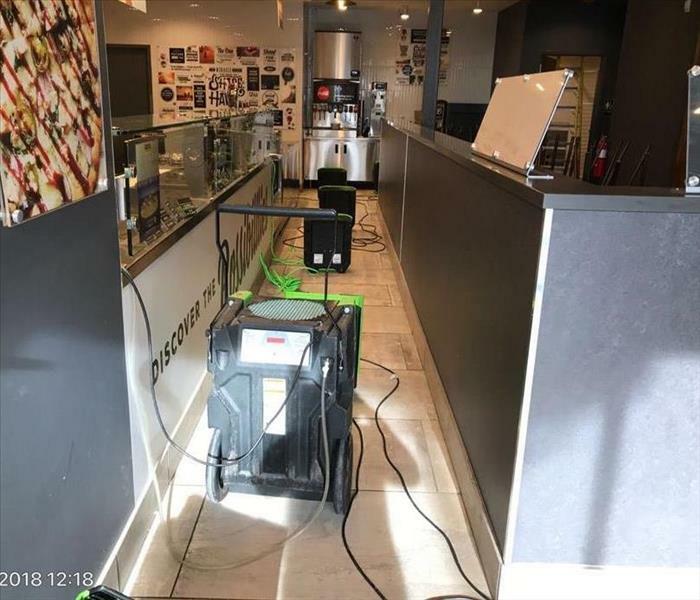 Our SERVPRO technicians were able to mitigate the loss as quickly as possible even with the hazardous working conditions. Keeping the homeowner updated and comfortable in such a disaster was a key component during the mitigation process. An entire Detroit home caught fire and had extensive smoke damage due to an electrical fire that began in the basement. Our SERVPRO technicians were able to quickly and safely begin the mitigation process after the fire department finished what they needed to do. We were able to remove all of the affected contents, packout the rest of the home, and demo the structure accordingly.